A customer favorite for many years. 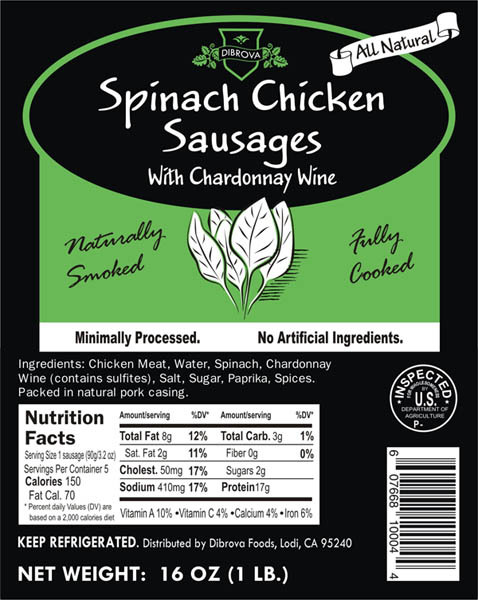 The combination of lightly smoked fresh chicken, spinach and a generous splash of Napa Valley Chardonnay is great for summertime grilling and for appetizers or a gourmet pizza topping. Very light tasting and versatile. All natural, no nitrites, no preservatives, no msg.